1D Linear Imager, Health Care Disinfectant-ready Housing, Cordless, Vibrate. Cradle not included (Part# AC4054-1381). Color: Gray. Works with Apple iOS and Android. Includes battery, charge cable, and lanyard. 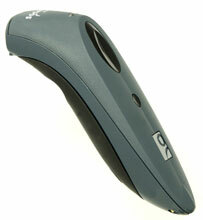 1D Linear Imager, Cordless, Vibrate. Cradle not included (Part# AC4054-1381). Color: Gray. Works with Apple iOS (iPad, iPhone, iPod) and Android. 1D Linear Imager, Cordless, Vibrate. Cradle not included (Part# AC4054-1381). Color: Red. Works with Apple iOS (iPad, iPhone, iPod) and Android. 1D Linear Imager, Cordless, Vibrate. Cradle not included (Part# AC4054-1381). Color: Yellow. Works with Apple iOS (iPad, iPhone, iPod) and Android. 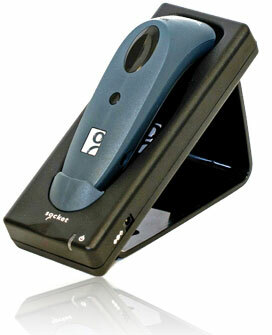 1D Linear Imager, Cordless, Vibrate. Cradle not included (Part# AC4054-1381). Color: Gray Works with Apple iOS (iPad, iPhone, iPod) and Android. 1D Linear Imager, Cordless, Vibrate. Cradle not included (Part# AC4054-1381). Color: White. 20 Unit Bulk Pack. Works with Apple iOS (iPad, iPhone, iPod) and Android. 1D Linear Imager, Cordless, Vibrate. Cradle not included (Part# AC4054-1381). Color: White. Works with Apple iOS (iPad, iPhone, iPod) and Android. 1D Linear Imager, Cordless, Vibrate. Cradle not included (Part# AC4054-1381). Color: Blue. 20 Unit Bulk Pack. Works with Apple iOS (iPad, iPhone, iPod) and Android. 1D Linear Imager, Cordless, Vibrate. Cradle not included (Part# AC4054-1381). Color: Blue. Works with Apple iOS (iPad, iPhone, iPod) and Android. 1D Linear Imager, Cordless, Vibrate. Cradle not included (Part# AC4054-1381). Color: Red. 20 Unit Bulk Pack. Works with Apple iOS (iPad, iPhone, iPod) and Android. 1D Linear Imager, Cordless, Vibrate. Cradle not included (Part# AC4054-1381). Color: Yellow. 20 Unit Bulk Pack. Works with Apple iOS (iPad, iPhone, iPod) and Android. 1D Linear Imager, Cordless, Vibrate. Cradle not included (Part# AC4054-1381). Color: Gray. 20 Unit Bulk Pack. Works with Apple iOS (iPad, iPhone, iPod) and Android.